The operational capacity of corporations is often limited by how well they can provide access to software for employees. Supplying local workers with updates or new software packages poses several time and manpower constraints, but updating branch offices entails far more challenges. Typical solutions, including Microsoft Systems Center Configuration Manager, include branch wide updates and data replicaton, e.g. using branch office distribution points which replicate entire software repositories. Unfortunately, these solutions require time and attention, and aren't without serious problems. Without a proper software update and installation system, servers and workstations can quickly become outdated, leading to version control and compatibility issues. With Talon FAST™, all of these problems are eliminated. 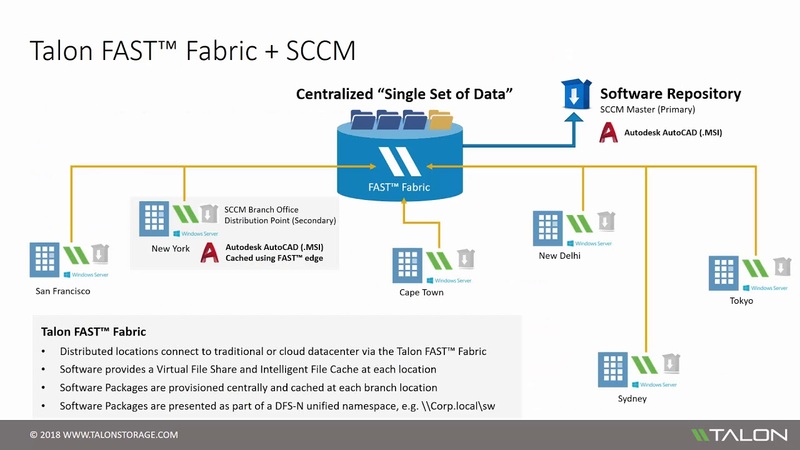 By combining Talon FAST™ and Microsoft Systems Center Configuration Manager (SCCM), it's possible to achieve efficient software package distribution across global enterprises. Learn how the FAST™ Fabric can help you streamline software package delivery for your enterprise. FAST™ Intelligent File Caching Technology in conjunction with Microsoft Systems Center Configuration Manager makes it possible to overcome challenges around managing software repositories across the distributed enterprise. Updates and installations no longer need to be completed one branch at a time, awaiting replication to move all data between the datacenter and branch office distribution points, but can be provided to any workstation or server on-demand. This level of connectivity through a single software repository allows for complete consolidation of virtual machine instances and DFS+R replication associated with SCCM package distribution by eliminating the need for local copies of software packages. Distribute software packages to all workstations and servers quickly and efficiently through the FAST™ Fabric. Push out software updates instantly using meta data from the software repository or specific application packages. 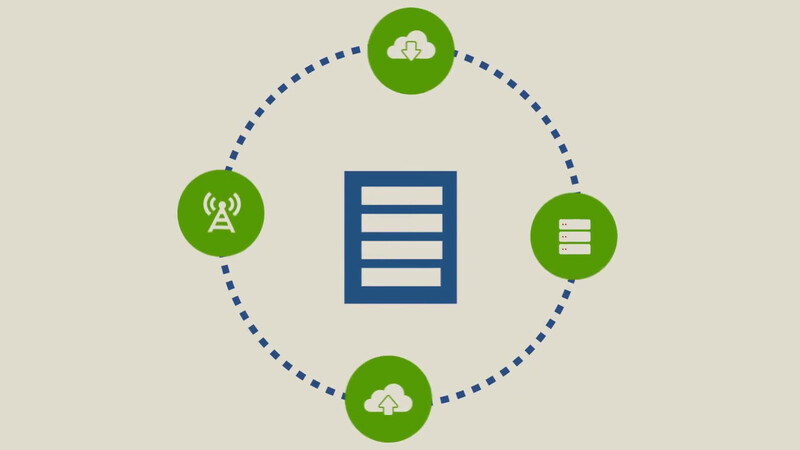 The FAST™ edge instance caches software packages at each location, while the main software package is provisioned centrally. The FAST™ core instance streams and compresses software in transit, allowing remote users to access software and data from otherwise isolated locations, removing the need for locally provisioned installation materials.